Dr. Wolf is Fear Free Certified! 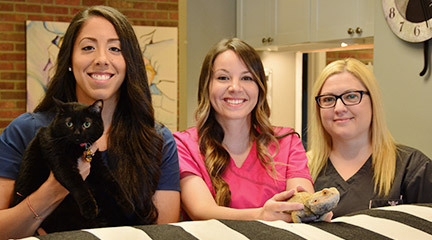 Norwalk Animal Hospital has been serving the veterinary needs of pet owners since 1980. It is our goal to provide your pets with the highest quality veterinary care possible. We have warm hearts for cold noses! We provide our clients with a wide-range of professional, compassionate veterinary services, access to leading-edge products, experience and advice so you can make informed decisions about the type of care that your pets will receive. We value preventative veterinary care for all of our patients - visit our Canine Care Plan and Feline Care Plan to learn more. 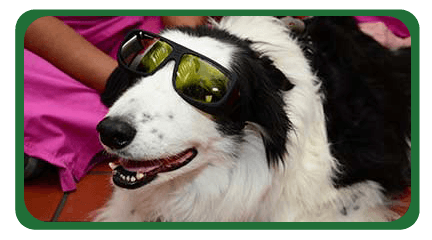 We would like to partner with you for the entire life of your pet. 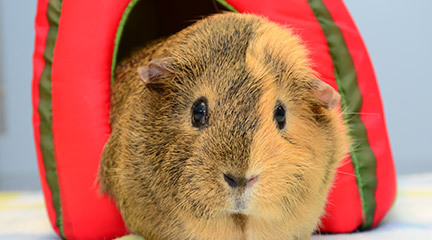 Click here to read more about our veterinary services. 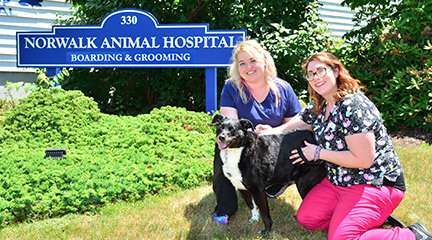 Norwalk Animal Hospital has been accredited by the American Animal Hospital Association (“AAHA”) since 1983. Only 12% of animal hospitals throughout the United States and Canada are AAHA accredited. Sound Paws Canine Rehabilitation, led by Dr. Harlan McLaughlin and located within Norwalk Animal Hospital utilizes the most current veterinary rehabilitation therapy treatments such as aquatic therapy (underwater treadmill), TENS (pain relief), therapeutic ultrasound and LASER, as well as range of motion and strengthening exercises. If your dog could benefit from physical rehabilitation because of neurological conditions, post operative orthopedic issues, weight issues, chronic arthritis or canine performance conditioning, please give us a call! My wife and I have been taking our cats to Norwalk Animal Hospital for many years and have found Drs. McLaughlin and Stecker to be excellent veterinarians. Tom and the rest of the staff are also very knowledgeable and helpful with any questions we have. I recommend Norwalk Animal Hospital. To improve the quality of life of our patients. 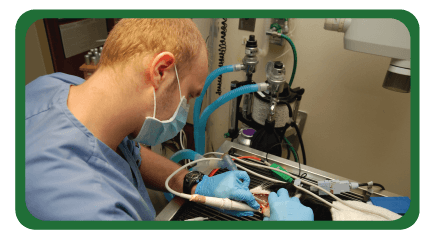 We will do this by providing the highest quality of care throughout all stages of a pet’s life working tirelessly to ensure healthy growth and well- being, and alleviating illness, pain, and suffering for our patients. To provide compassionate care and exceptional service to patients and their owners treating them with respect, honesty, kindness and consideration, and extending tenderness and empathy towards them at all times. To develop and maintain long term relationships with our clients and their pets. To educate our clients about the healthcare needs of their pets by involving each client in a lifetime wellness plan promoting health for their special companions.